NO VISUAL IMPAIRMENTS ..anywhere on the track , you can see your car perfectly from each side of the drivers stand ! im really chuffed about this one , Kraig nailed it!!!! Track is fun! Jeff and I had some epic 2wd vs 4wd battles going on! Those of you that came out earlier today missed out :/ About 8pm we blew it off and light water... hooked up. All the jumps were doable with a 17.5 nr buggy. Gates open at noon track at 1. See everyone then! ill be out today /eve. for some action should be about 80'deg. Sweet layout ,might have to make this opening Day . AE ALLDAY ..
On Saturday, gates open at noon. Track may not be ready till 1 or so. We are going to need to water it throughout the afternoon so it will be a bit on and off till 4 or so. Looks like at least 6-7 of us heading over from Sac. What time do the gates/practice open on Saturday? When is butternutz doing well? Lol. Me n lou headin down sat. Hi Dear Customer ---Delta has a new R.C. Track opening Saturday night and I am feeling ill that I cant make it --so I am calling ahead to let you know I will be SICK Saturday so I can go R.C. Racing instead of working 13 hours to serve you and your guests . You ask me what is more important --- working or R.C. Racing ??? Well - let me think about that for a minute ---R.C. Racing wins ! Good info Jeff! Kraig came correct with this layout. Our goal is to get better every year land I believe are off to a great start. 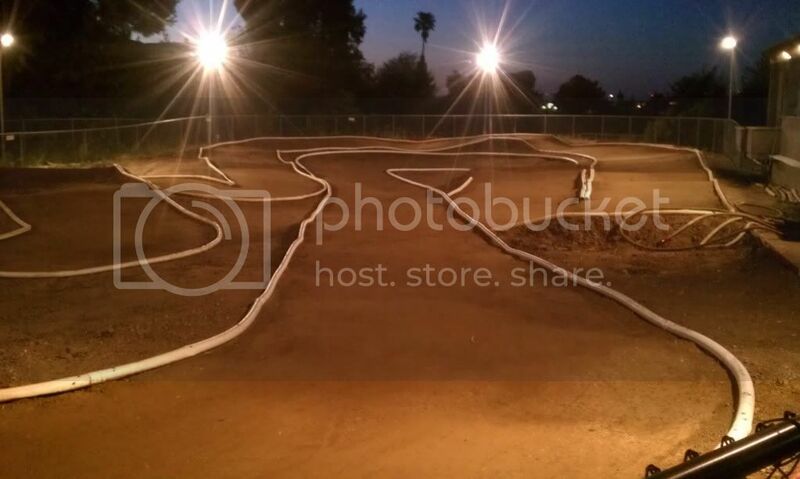 Track still needs some tlc tonight. Here is a spy photo I took this afternoon. that layout looks awsome..!! only one jump that could ..mybe give the Sc trucks some kite time , but defitnitly a sweet flow to it . has anybody tried a car or truck on it ?. cuz it looks like its gonna be fast...as usual for the size area. laps should be in the low 20's to high teens. looks like a good 4wd buggy track as well with no huge jumps on it, it's got a little bit of everything else going on tho ....man great job kraig and crew!!!!!!!!!!!!!! if you wife see's a bacon strip in ur draws.......u might be a red-neck! SORRY HOPPER! 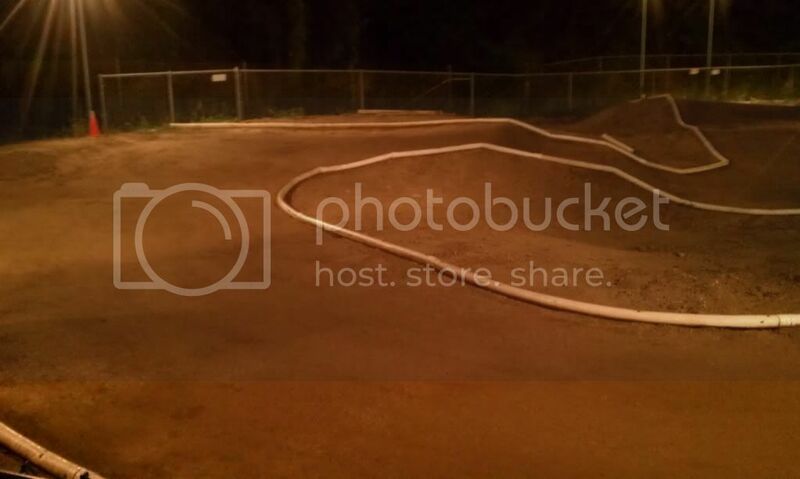 Real talk there is no wall ride and loopty loop. There are no crocodiles, don't be afraid to bring your children. The city said no and the flame thrower, that's out too. Im pretty sure there is a BOWL though =). The track will be fun as Hopper is a fun guy! But we do have a big bowl! diggin the loopty loop to wall ride section, into then double over the moat with the crocodiles, then a flame thrower on the sweeper, all to finish it up with the KP kicker at the end of the straight putting you right at 2nd base! 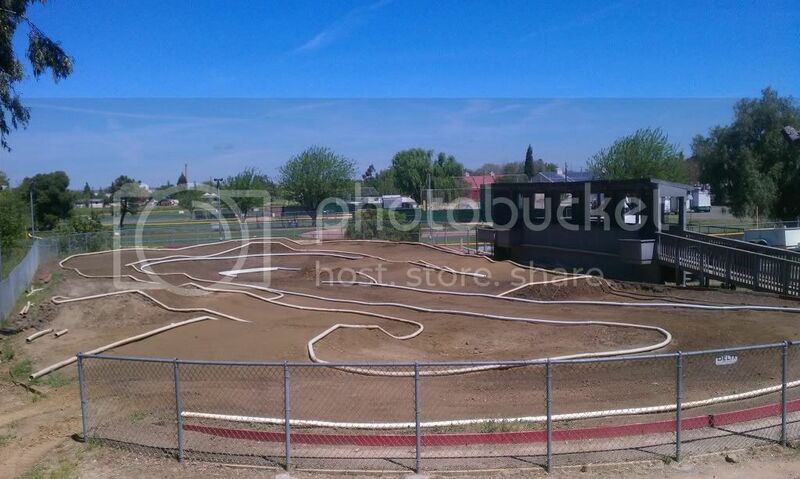 Layout is tight, can't wait.